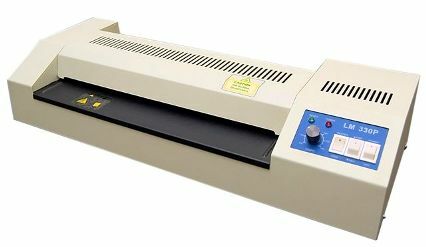 LM330P Meter A3 Office Laminator. Solid steel case A3 Office Laminator with 4 rollers(2 hot + 2 cold).Perfect for all documents including colour prints.Perfect for medium volume users including schools. Ready Light -Heats in only 5 minutes.